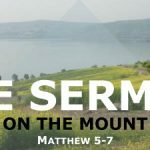 As part of this article on the Sermon on the Mount, I introduce the proper way to read and understand the Sermon on the Mount in Matthew 5-7, and then I also interview Kent Young about his excellent commentary on the Sermon on the Mount. Matthew 5:1 begins the famous “Sermon the Mount” in Matthew 5–7. 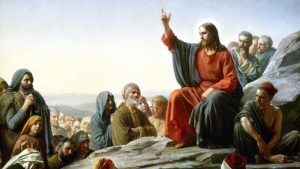 At the beginning of this teaching, Jesus notices a multitude of people following Him, and so He goes up on a mountain to teach His disciples. At this point in His ministry, Jesus had not yet selected the twelve disciples to be His closest followers (cf. Matt 10:1-4; Luke 6:12-16), and so this time of teaching was not just to a select few disciples, but to the entire multitude of followers. It cannot be imagined that every single person in the multitude of disciples was already a believer, and so this is a message that invited the followers of Jesus—whether they were believers or not—to listen to His teachings about a better way to live. Nowhere in the Sermon on the Mount does Jesus talk about how to receive eternal life. Eternal Life isn’t even mentioned. Why not? Because the Sermon on the Mount contains instructions about how to live this life, not instructions about how to receive eternal life. And anybody, believer and unbeliever alike, can benefit from the instructions of Jesus about how best to live. It is critical to recognize that the Sermon on the Mount does not contain the offer of eternal life, because if we get confused on this fact, we will think that one gains eternal life by fulfilling the conditions and requirements Jesus talks about in this Sermon. For example, if Jesus is telling people how to receive eternal life, then we gain eternal life by being mournful, meek, and merciful, by being poor in spirit, peacemakers, and persecuted (Matt 5:3-12). If Jesus is teaching about how to receive eternal life, then we must make sure our righteousness exceeds that of the most religiously righteous people in Jesus’ day (Matt 5:20). If Jesus is teaching about how to receive eternal life, we must not hate or lust (Matt 5:21-28). If you do lust, you better pluck out your eye and cut off your hand if you want to spend eternity with God (Matt 5:29-30). If Jesus is telling people how to receive eternal life, then according to Him, you must refrain from making oaths, go the second mile, and love your enemies even when they hate you and try to kill you (Matt 5:33-47). Ultimately, if Jesus is teaching about how to have eternal life, you need to be perfect just as God is perfect (Matt 5:48). All of the preceding statements come from the first chapter of the Sermon on the Mount. There are two more to go. And when a person adds all the calls to obedience of the Sermon on the Mount to the free offer of eternal life, this causes many people to despair of ever gaining eternal life from God. Indeed, if the Sermon on the Mount contains the conditions for receiving eternal life, not a single person would ever achieve it. Thankfully, there is a much better way of understanding this Sermon from Jesus. Jesus is not telling people how to gain eternal life. Instead, Jesus is teaching His disciples about the best way to live this life. Jesus is teaching people about the requirements of following Him and being His disciple. Clearly, nobody can ever fulfill or accomplish all these requirements, yet there is something in here for everyone, and nobody will ever get bored in trying to follow Jesus. So whether you are a believer or not, the teachings of Jesus in the Sermon on the Mount will challenge you to live in the way that God wants and intends for humanity. But never think that these teachings will help you earn or gain eternal life for yourself. To receive eternal life, the only thing that is needed is to believe in Jesus for it. With this understanding of the Sermon on the Mount, we are in a better position to understand some of the troublesome texts it contains. 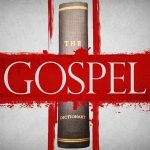 Understanding the Gospel requires us to properly understand the key words and terms of the Gospel. Take my course, "The Gospel Dictionary" to learn about the 52 key words of the Gospel, and hundreds of Bible passages that use these words. This course costs $297, but when you join the Discipleship group, you can to take the entire course for free. I see it as the constitution of the Kingdom of God, which ultimately national Israel rejected. This is sort of a hyper-dispensational view, right? I still see it as a guideline for Christians to follow as disciples of Jesus. This is a better explanation of what Jesus is saying than some I’ve heard. Although I have some sympathy with what have become known as hyper-grace teachers, I can’t agree with what some of them say about the Sermon on the Mount. Their argument is Jesus spoke this before the cross, and this was applicable to the Jews, but now he has paid for our sins, none of what he says really applies to us. That may not be a thorough explanation of what I’ve heard, but that is how I’ve understood what some of them say. The problem is, as Kent points out, Jesus is speaking to his disciples, not the general crowd. I think part of the confusion some of those who preach hyper-grace have is because of way gehenna is translated as hell, and also an understanding of the narrow way as being the way to receive eternal life. I think your’s and Kent’s explanation makes much more sense. A lot of these teachers also have a problem with the idea of rewards for believers, but Jesus and the apostles, I’m particularly thinking of Peter, taught about rewards. They also taught about loss of rewards. Some struggle to tie these ideas up with the idea of free grace. Right! I disagree with the hyper-grace teachers on this point too. 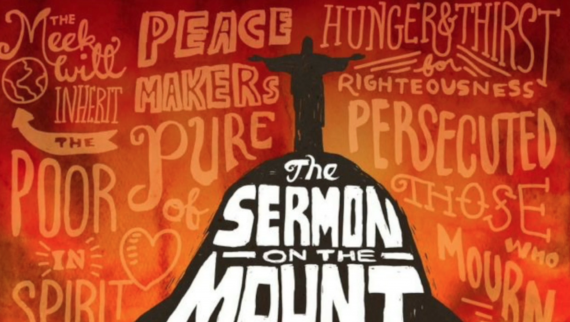 The Sermon on the Mount is very helpful and applicable to believers today.